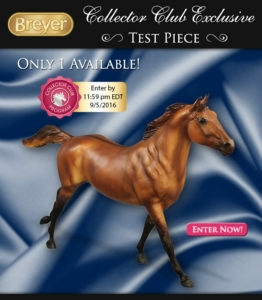 Breyer posted a handsome test color dun Phar Lap #430040 available by lottery to Collector’s Club members. 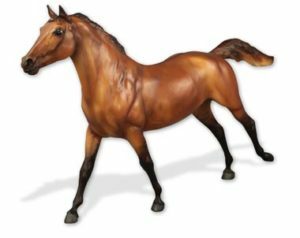 Personally, I am not a big fan of the Phar Lap mold but I think this guy looks quite dashing in dun! Collector’s Club members may enter once a day from 8/31/16 to 9/5/16 at 11:59 PDT. 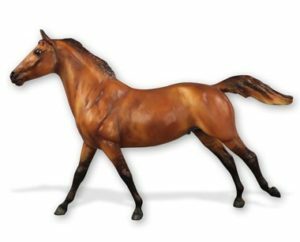 The winner will be able to purchase him for $850. 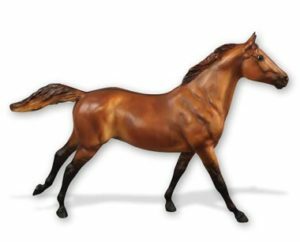 Introducing a dun Phar Lap! Ears forward in effortless gallop, Phar Lap is ready to go! Lots of airbrushed shading bring out the highlights in his reddish brown coat. Primitive marks include dorsal stripe, leg bars and dark eartips. His hooves are masked and dark grey, and he sports eyewhites. 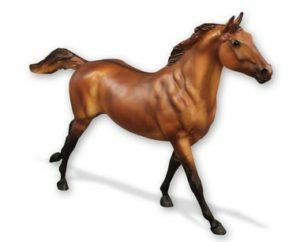 The dun Phar Lap test piece is priced at $850 and comes with a certificate of authenticity. Only 1 piece is available for purchase. « Labor Day Sale Buy One Get One 20% Off!